Aleister Crowley appears on the cover of The Beatles’ 1967 masterpiece Sergeant Peppers Lonely Hearts Club Band, situated on the back row of a crowd of people that the band admired. Crowley famously put forward in his works the practice of reverse speech – something that the Beatles also experimented with in their recordings at this time. 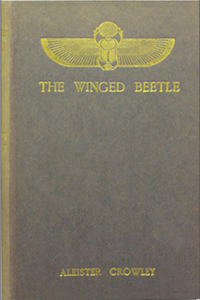 Crowley had published a collection of poetry in 1910 entitled The Winged Beetle, a number of poems in the collection portraying themes that mirrored his Occultist interests, such as in the poems The Pentagram, The Sorceress and The Wizard Way. 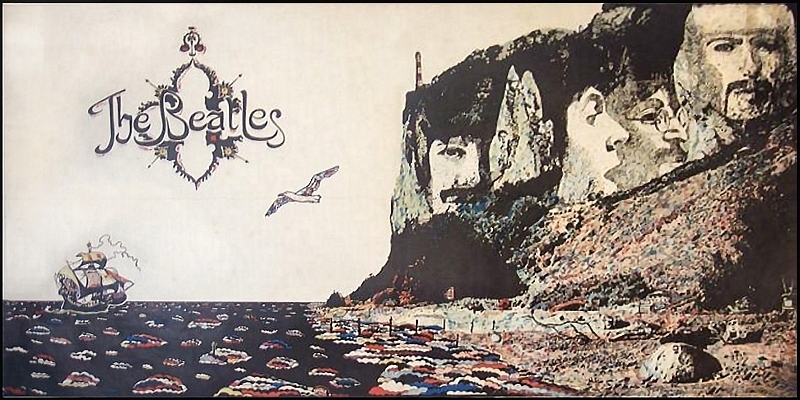 The title of the collection however has fascinated some Beatle fans for obvious reasons; Paul McCartney being in the Beatles, then, when they split, forming a new band called Wings, McCartney in effect being the Winged Beatle. This was the title of a recent and rather entertaining youtube documentary that discusses the ‘Paul id dead’ story and puts forward the Crowley influence. Crowley was certainly a big influence on many musicians from the late 60s and early 70s; Jimmy Page being a famous example, and of course David Bowie who mentioned Crowley in his song Quicksand from his 1971 album Hunky Dory. Victorian dreamscapes of other worlds also captivated artists and musicians, John Lennon for example was inspired by the stories of Lewis Carroll, something which influenced the Beatles song I Am The Walrus, Lewis Carroll also appearing on the cover of Sergeant Pepper. Another poet and writer of humorous stories that appeared on the cover was Oscar Wilde; Wilde being a Freemason who conveyed certain esoteric themes in some of his writings, such as The Picture of Dorian Gray. The Beatles, along with other musicians of the period, were more than aware of the work of writers like Crowley, Lewis Carroll and Oscar Wilde, writers that, in their own way, wrote about hidden landscapes, the search for forbidden knowledge and who yearned to escape the restraints of Victorian society. Musicians, artists and writers of the late 60s and early 70s recognised these themes and became inspired by these writers to break free of their own restraints and create new boundaries, to create ground-breaking music like the Beatles’ Sergeant Pepper and The White Album, and Bowie’s Hunky Dory, and to continue the search for forbidden knowledge.